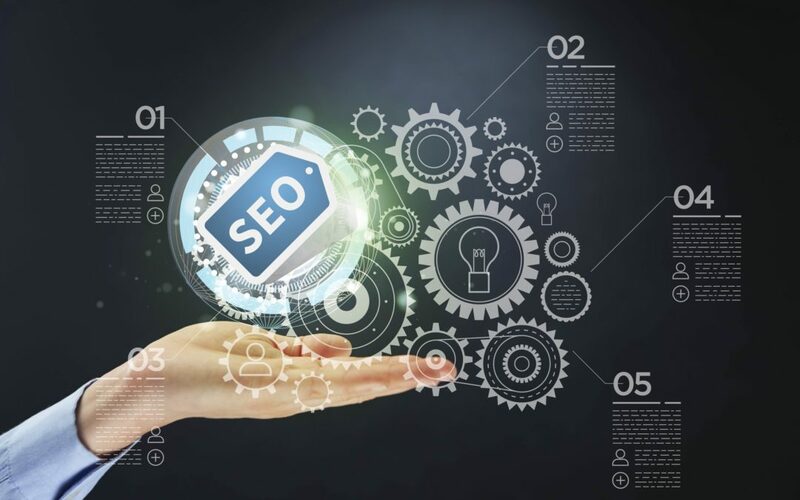 If you have an online business, and you haven’t thought about SEO (search engine optimization) for your website, you are more than likely missing out on a lot of traffic. And if you’re missing a lot of traffic, that means missing a lot of sales. While there is more than one way to drive traffic to your website, you shouldn’t ignore the free traffic that you can get from Google and Bing with a good SEO strategy. But what if you don’t know anything about SEO, and don’t have the time to learn the ins and outs of it? That’s where a good WordPress SEO plugin comes in. So, in this article, I will discuss the top 3 SEO plugins for WordPress and how they can help you boost your SEO efforts. It is fairly straightforward to set up, but if you ever need help, the built-in help section provides clear, concise directions. There is both a free option and a paid option, but if you’re just starting out with SEO, the free version will be more than enough for your website. Both of these features might help your search engine rankings. AIOSEO provides you with as much or as little control as you want so that as you gain more experience, you will be able to use the more advanced features of the plugin. There is both a free version and a paid version for when you’re ready to use the more advanced features of this plugin. Squirrly SEO touts itself as the SEO plugin for non-SEO experts. It also works with both Yoast AND All-in-One SEO Pack, so there’s no need to uninstall and reinstall either of those plugins and lose all of your SEO work. Helps you find keywords and topics your audience actually uses. This is what’s known as a “freemium” plugin, which means that there’s a limit to what you can use with the free version (e.g., you only get so many keywords you can research). But as with all of these SEO plugins, the free version should suit you just fine as you’re just starting out. So now that you have a better idea about how SEO plugins for WordPress can help you boost your website traffic, why not contact us here at Smart to Finish? We can help you choose the best plugin for your needs, install it, and get it all set up and running smoothly. Google has stayed to true to form and changed its rank algorithm yet again. With technology constantly changing, they need to do this in order to get a true sense of what people are doing in the way of searching. Unfortunately, that means you need to once again examine your website and make sure it is Google-friendly, or you will find yourself sitting there and wondering why your Google ranking is steadily dropping. The main item you need to take a close look at this point is whether or not your website is mobile-friendly. With the increased use of phones and other mobile devices being used to surf the web, sixty-one percent of all users are now mobile users. If your site is not ready for them, you could see your traffic decreasing by as much as one-third. That can add up to a lot of users – and much lower Google rankings. In order for Google to rate your site higher, it must determine that it is mobile-friendly. To make it possible for this determination to be made, the Googlebot must be able to scan your CSS and JS files, and it does so on a page-by-page basis. This means every one of your pages must pass the scan in order to be ranked. Google will put greater emphasis on the loading time of graphics, so you need to make sure they are optimized to the fullest. Avoid using small text and flash or it could seriously lower your ranking. Responsive design is the easiest way to insure your website is mobile-friendly. This newcomer on the scene is created to allow your website to seamlessly adjust to whatever device it is being viewed on. By designing for smaller devices first, responsive design makes it easy to incorporate sizing for all devices – and help Google find you. If you need help making your website mobile friendly, reachout! Having a support team that stays on top of technology is very important! It seems like a day does not go by where I have not read a headline that involves a website being hacked. The ones that make the headlines are big hacking situations. I had to change my own debit cards after shopping at Target not too long ago. Some other memorable hacks include Citibank, NASA, and Sony, which included the PlayStation3. However, often hackers simply hack for the fun of it, and they hack anything and everything, including small to medium websites. In my 17 years as a web developer, I have had five clients report damage to their websites from hackers, and I want to provide you the same tips I have provided them to keep their sites safe. I’m not going to pretend like maintaining your WordPress website is fun, it’s just like any other chore, it’s work and can often be the last thing you want to do. But, it really is extremely important because if you don’t ; it’s possible you will come up with something like the image in this article. Slow Website: WordPress websites run off a platform called PHP. In order for WordPress to run, the server that it is hosted on also must run PHP. As new versions of PHP come out, eventually older versions are phased out.Server’s upgrade to the newest version and remove older versions. If you don’t keep up on your maintenance – your PHP version may not run on your server anymore. This could cause considerable down time while updates are performed and in some cases I have found that the clients theme no longer is maintained and it takes considerable time to get the site back up and looking great again. Hijacked Website: It is sad, but there are people, even companies out there that search for sites that they can find a security breach in, through a plug-in not updated or through a theme that someone found an open door in. They hide scripts within the file structure that they have made access into. You don’t see the script by looking at the website, but behind the scenes they are sending emails out using your IP address. Eventually you’re hosting company or google see’s massive traffic. Your email addresses can be blacklisted, your site can be marked as a warning by google not to visit the site, and you can lose a lot of visitors while the issue is worked out and the scripts are found. Typically this is at minimal at 72 hour downtime, sometimes more. Broken Website Functionality: Your host makes a server upgrade, you notice that your contact form has been a little slow, or actually maybe more than a little slow. You go review your contact form only to see an error after submitting! You go back to your host or your web developer and find out that because of the server upgrade, your contact form hasn’t worked for two weeks. How many clients could you potentially lose in two weeks? Data Loss: WordPress websites run off of a database. I have reviewed many hosting plans, many offer backups, but in the small print, it tells you that you are the responsible party for your data. They cannot and will not guarantee that a backup is in existence and sometimes that back-up might be weeks or months old. Think about the work that has been done on your website in the last 30 days. How many man hours would it take to reproduce the work if the only backup available was 30 days old? Even worse, what if the backup didn’t exist? These are just a few of the items that website maintained can prevent! Your maintenance list can be divided out into Daily, Weekly and Monthly Checklists to make it easier. Smart to Finish also offers maintenance programs for you, just let us know if you would like to be added to our maintenance calendar. In my next article we will discuss the daily, weekly, and monthly checklist along with important preparation steps. If your site has not had maintenance performed, please consider it now. The benefits could save you hours of headaches and once your site is updated to the latest versions, maintenance could take as little as 10 minutes per week.